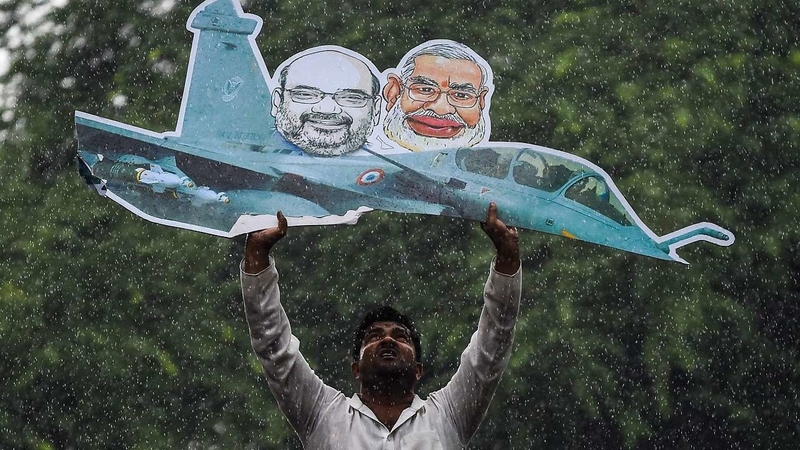 As per a report by N Ram in The Hindu, it has been learnt that the controversial Rafale deal between India and France involved major and unprecedented concessions from the Indian government regarding critical provisions for anti-corruption penalties. The report also says that the provision to make payments through an escrow account was dropped. This was done days before the signing of the inter-governmental agreement (IGA). Official documents in possession of The Hindu reveal that the Defence Acquisition Council (DAC) chaired by the then Defence Minister Manohar Parrikar met in September 2016, and “ratified and approved” eight changes in the IGA, supply protocols, offset contracts and offset schedules. This was done after the IGA and associated documents had been approved by the Cabinet Committee on Security (CCS), chaired by Prime Minister Narendra Modi on August 24, 2016. The high-level political intervention meant that standard Defence Procurement Procedure (DPP) clauses on “Penalty for use of Undue Influence, Agents/Agency Commission, and Access to Company accounts” of Dassault Aviation and MBDA France were dropped by the Indian government in the supply protocols. While the IGA was the overarching agreement between the governments of India and France, the supply protocols were to be executed by Dassault and MBDA, the two private companies. Therefore, the fact that these clauses were dropped by the Indian government from the supply protocols is of major significance. According to the report in The Hindu, this direct dealing with the commercial suppliers, under cover of an IGA, was highlighted in a detailed note of dissent signed by three members of the Indian Negotiating Team — M.P. Singh, Adviser (Cost), A.R. Sule, Financial Manager (Air), and Rajeev Verma, Joint Secretary and Acquisitions Manager (Air). The document, which is available with the The Hindu, reveals that these three members took a strong stand against what was being rammed through. The Rafale deal was signed between India and France under the terms of DPP-2013 and the Standard Clauses in Contract are mentioned in Enclosure 8 of DPP-2013. This has sections on penalties for the use of undue influence, an integrity pact, agents/agency commission and access to book of accounts. Paragraph 37 of Request for Proposal (RFP) in DPP-2013 states that “the Standard Contract Document at Chapter V of DPP2013 [bit.ly/DPP-2013] indicates the general conditions of contract that would be the guideline for all acquisitions”. This letter of comfort came after another last-minute intervention by the Indian government in September, when the Cabinet Committee on Security chaired by the prime minister issued a corrigendum to the note forwarded by the Defence Ministry for the CCS, doing away with the requirement for an escrow account operated by the French government to make payments to the two companies. This proposal to amend the IGA, which had been approved by the CCS on August 24, 2016, was moved by Smita Nagaraj, director, General Acquisition, in the Defence Ministry. The amended Para 50(b) of the CCS Note approving the IGA did away with the need for ensuring that the payments made by the Indian government were done through an escrow account operated by the French government. The escrow account was a measure of financial prudence: the payments would be released by the French government to Dassault and MBDA with the concurrence of the Indian government. One of Mohanty’s important observations was: “In the absence of a sovereign/bank guarantee, in a case like this where an IGA is to be signed, it would be prudent to involve the French Govt. as far as releases are concerned. This possibly could be done through an Escrow account or a variant of the same where the money released by the buyer (Govt. of India) is paid to the Escrow account held under the charge of French Govt. to make further payments to the firm as per terms & conditions agreed to by the Indian and French Govt. through IGA. This would make French Govt. morally and materially responsible for the procurement so proposed. Since they are one of the parties to the IGA and also jointly and severally responsible for the execution of the supply protocol, they should not be having any reservation about it.” Evidently, the French government did. What is now known is that Mr. Mohanty’s note came after the Prime Minister’s Office (PMO) and National Security Adviser Ajit Doval chose to waive the sovereign or bank guarantee from France. According to the documents available with The Hindu, the need for a sovereign or a bank guarantee was also highlighted by the Ministry of Law and Justice in its communications to the Defence Ministry. As per the report, the part played by Mr. Parrikar in the Rafale deal was established as, “a stance of being non-committal, as evidenced by his hand-written notation of January 11, 2016, he shifted later that year to actively pushing for the changes, giving the financial experts little time to study the proposals”. This has significant political implications for the Narendra Modi government which has claimed that eliminating corruption is a major plank of its agenda for governance, and promised action against alleged corruption in defence deals struck during the United Progressive Alliance Government. What is also worth noting is that neither this, nor the other important information published by The Hindu on the “parallel negotiations” conducted by the Prime Minister’s Office and the National Security Adviser seems to have found a place in the material submitted by the government to the Supreme Court of India.